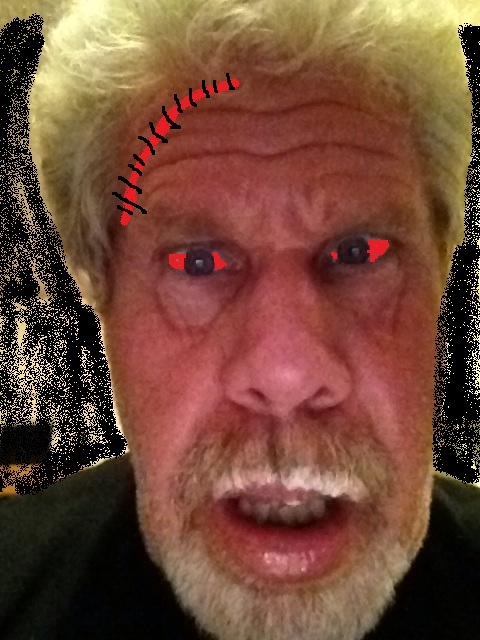 Home → Across America → Swiss Doctors: “Ron Perlman is a cave man” ??? 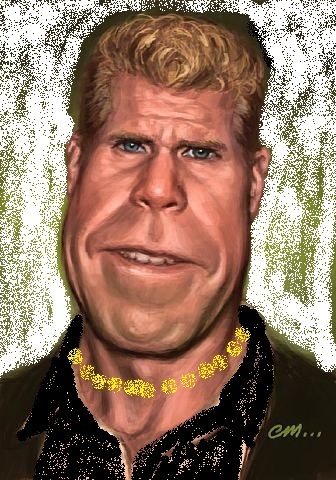 Hollywood actor Ron Perlman – a man who holds the World Record for largest head and face in the history of Grade C motion pictures and television – has refused requests from doctors in Switzerland who asked to examine the structures of his facial bones and ligaments. Doctors at the Bern Institute for Cryptozoic Studies, are trying to prove that Perlman, and other pitiful creatures like him, is either a genetic freak who harbors large strands of Troglodyte/Bigfoot genes, or that the arrangement of his jaw and skull juncture is the cause for his vicious hatred for Catholic high school kids who stand quietly and commit Face Crimes against fake Vietnam veterans dressed in Native American tribal costumes. “Let’s just call a spade a spade. Something is terribly wrong with Ron Perlman,” said Dr. Dean Traherne, a Pathologist who studies artifacts that are claimed to be the remains of creatures which either might or might not exist, or or may have once existed, but are now extinct. “We believe that Mr. Perlman is suffering from some kind of delusion caused by the inability of his subhuman brain to accept the fact that he is at least one or two tiers below actors like Dolph Lundgren. Mr. Perlman hates President Donald Trump because Trump is more successful than he is, and his primordial soup of genetic material cannot cope with any kind of superiority. Of course it would be only natural for Mr. Perlman to hate on Catholic school kids. They represent everything he can never be. How can he ever hope to be anything but a giant-faced mediocrity whose mind still lives in a cave? He is in the twilight of his life, and these boys are just starting out. They’re young and handsome and their skull and facial bone structures are normal, even attractive. Put yourself in Perlman’s shoes. How can a cave man keep his cave and his cave woman when superior males, the kind he has hated for his entire life, are mulling about and causing him such great mental pain? “In the normal human brain, even one of extreme low intelligence, we usually find some degree of acceptance of a life led in the entrenchment of sub-mediocrity, but in the case of Ron Perlman and Alyssa Milano, a case we have yet to address, there seems to some kind of brittle pathology wherein they are capable of causing great mayhem on social media because of some inner rage that probably emanates from genes they have inherited from primitive ancestors. The anger Mr. Perlman and Miss Milano showed for the Covington Catholic School boys was far out of proportion to what it should have been even if the accusations had been true. Ron Perlman and Alyssa Milano, we would like you to know that there is help waiting out there. All you need to do is accept the fact that you are primitive and stupid, Give Dr. Traherne a call. He’s in the Switzerland Yellow Pages. The TOP 5 SECRETS MACAULAY CULKIN DOESN'T TALK ABOUT ! !